Let's take a step-by-step look at how to clear your account from spam and protect it from unwanted activity from ghosts and commercial accounts. First of all, you need to add your Instagram account. Enter your login and password from your account and click "Add account." After that, we will begin synchronizing your account with our service, during which Instagram can request to enter a verification code that would be sent to your email or phone connected to the account. 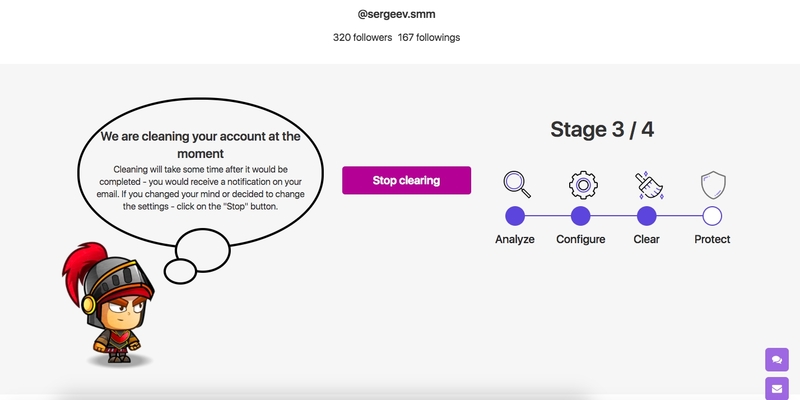 If your account was successfully attached to your profile, you can choose whether to perform a full analysis and clean up your account or start with a test one. You can also purchase protection of your account for one month, six months, or a year. You will learn more about our protection mechanism on Step 4. 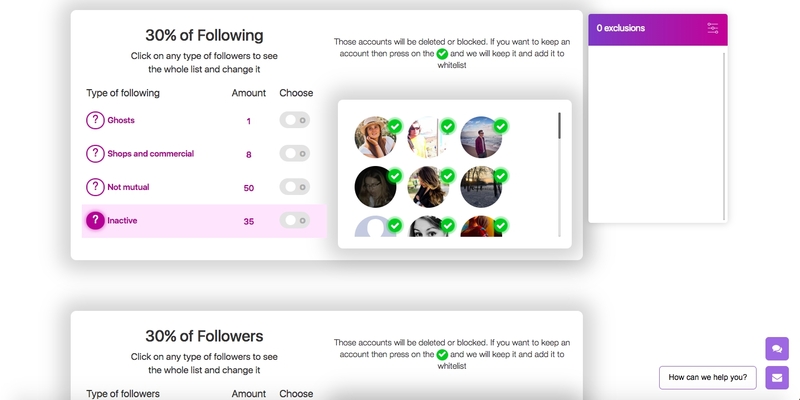 Regardless of whether you choose a test or a full analysis, SpamGuard will begin to check your followers and followings. This process can take some time; the more followers and followings you have, the longer this process will last. After the analysis of the account is completed, you will be asked to set up a list for cleaning and blocking accounts. You can exclude both the entire account group and the individual accounts that will be placed on the Exclusion List. 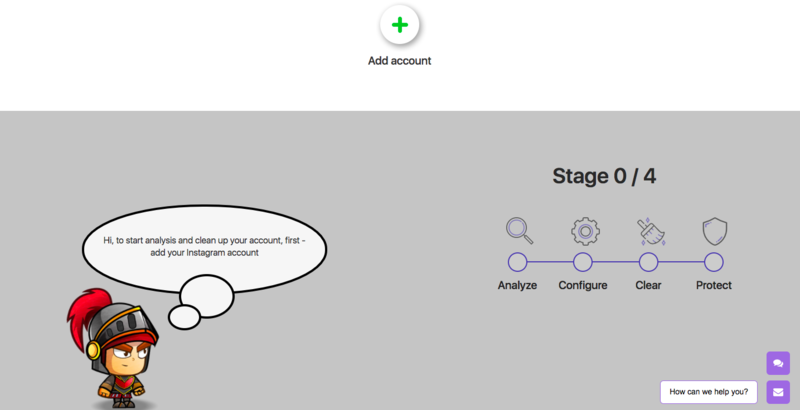 After the setup is complete, the process for clearing the account will begin. Further, depending on whether you choose the test analysis or complete analysis, you will be advised to perform a full analysis or go to Step 4. Protection of the account from spam and unwanted comments is a unique achievement of the SpamGuard team. It is a self-learning intellectual algorithm that, based on your analysis and cleaning of the account, understands which accounts are undesirable for you and whose activities should be blocked. Moreover, you will be able to protect your account from unwanted comments from foreigners who are engaged in spamming and block comments on keywords, thereby limiting your comments from obscene lexicon and advertising accounts that prey on your followers. After completing the settings, click on the "Enable Protection" button, which activates this functionality. You will receive an administrator of your account who will work 24 hours/7 days a week to protect your account from unwanted activity.